The Shadow Mini™ USB 3.0 SSD is a high-performance Solid State Drive for Xbox One power-users who require the greatest combination of speed and durability. With no moving parts, it delivers dramatically faster load times - great for demanding games. 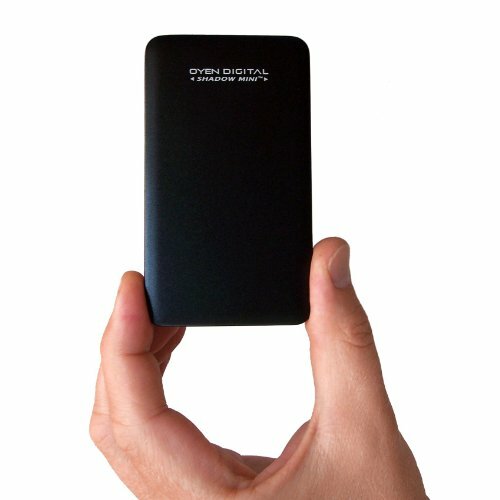 The Shadow Mini is capable of speeds over 400 MB/s – producing load times up to 60% faster than a conventional hard drive. The stylish design features a unique aluminum body engineered to effectively dissipate heat and provide durable portability. With an ultra-compact size, it fits easily into your pocket for maximum portability. Bring your Shadow Mini to a friend's house and connect to their Xbox One for games on-the-go. Finally, the Shadow Mini is backed by a three year factory warranty.